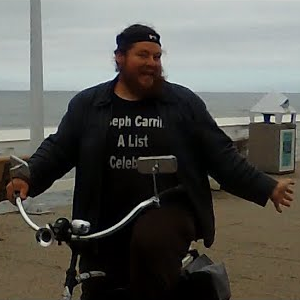 "You Don't Need School to be A Celebrity"
"Black Beach Cruiser" is a song by American singer Joseph Carrillo, written and produced by Joseph W Carrillo. It was released by Tool Shed Studios as part of Joseph's Ultimate Celebrity Blackout album on April 17, 2018. There has not been a Reception for this song yet. ↑ "Music in the Air . . . With Mark 'Fenny' Fenichel – Free Blues Festival returns to Morgan Hill Labor Day weekend | Morgan Hill Life".